The family of Gyanendra Rajkhowa, who was shot dead by police in Golaghat on Wednesday, has lodged an FIR against Golaghat Deputy Superintendent of Police (DSP) Partha Pratim Saikia. 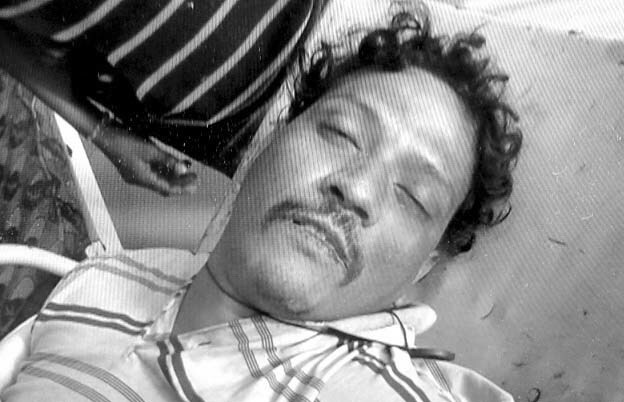 According to information, sensation continues to prevail in the Habiyal village of Dergaon under Golaghat district in Assam after Gyanendra Rajkhowa was shot dead by police on Wednesday after he allegedly attacked four persons near a polling station during Panchayat polls. The family of Gyanendra Rajkhowa has also demanded a high-level probe into the incident. Besides, the deceased’s family has also demanded that Golaghat DSP Partha Pratim Saikia be arrested with immediate effect. A case (No 1054/18) has also been registered against DSP Saikia under Section 302 of the Indian Penal Code (IPC). The FIR was lodged by Nagen Rajkhowa, the father of the deceased. Gyanendra Rajkhowa, who was a former Border Security Force (BSF) jawan, died after being was shot at by police at Habial village in Khumtai in Golaghat district at around 10.30 am on Wednesday after he had created panic among voters coming cast their votes in panchayat election. Thirty-five-year-old Gyanendra Rajkhowa succumbed to his injuries at KK Civil Hospital in Golaghat. Golaghat Deputy Commissioner Gaurav Bothra has ordered a magisterial inquiry into the incident.